One of my other and related interests is early keyboard instruments. 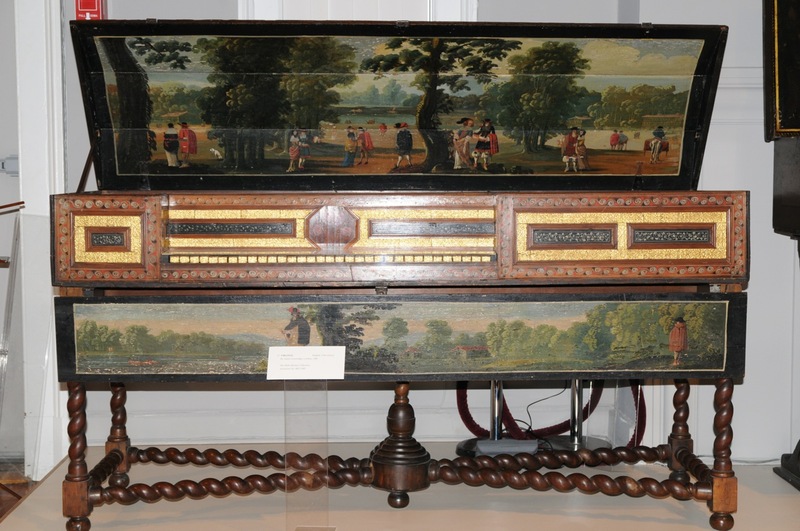 Clavichords, harpsichords and pianos made before the mid-1820’s are relatively simple devices that could have been and were built by competent furniture makers. There are parts of all instruments there were better done by specialists such as the hammers in the pianos. Covering the hammers required knowledge and techniques that might be beyond most furniture makers. 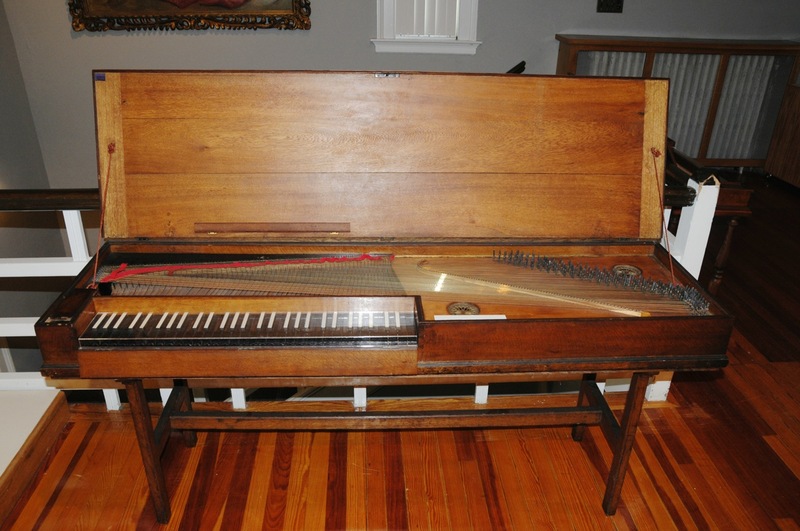 By the mid-1820’s, clavichords and harpsichords had largely fallen out of favor. They had been supplanted by the pianoforte. Until this time, the pianoforte was still basically a clavichord or harpsichord with hammers in place of tangents and plectra. Around 1824 makers started installing iron plates and then iron frames. This enabled them to use heavier strings. Heavier strings meant higher tensions with required stronger frames. These heavier strings required more hammer force with required a stronger action. All this created a louder piano which is the whole purpose of the exercise. Before 1824, pianos are relatively simple and light instruments. 1824 forward, they just kept getting bigger and louder. The square piano of the 1890’s was huge and heavy. The modern Steinway Model D Concert Grand weighs 990 pounds, is almost 9″ long and made from over 12,000 parts. Not something even today’s furniture maker can build. It really is a manufactured thing. I visited the Yale Collection of Musical Instrument in June, 2008. I took pictures. Not anticipating this blog, not enough pictures. I share with you what I have. This is a virginal made by Adam Leversidge of London in 1666. A virginal is a harpsichord in which the strings are perpendicular to the keyboard. Late 18th century clavichord I don’t remember the maker. Click HERE to see the set from the Yale Collection. In another kinda, sorta related subject: a few days ago in Chris Schwarz’s blog on Popular Woodworking’s site, there was mention of “goberge” or “go bars”. Below is a YouTube video showing the soundboard being installed into a harpsichord. They are using a go bar deck, a simple clamping fixture. The harpsichord is placed on the base of the fixture and go bars are inserted between the harpsichord and the top of the fixture. As a bonus, they are also using hot hide glue. How historic. Click to see the YouTube video. Click HERE to see them installing another soundboard. If there is interest, I have more keyboard pictures.